Here is an unsolicited testimonial from a happy customer. I do not usually write to company praising them for their product but in your case I find it necessary. When my wife recently under hip surgery, I needed to find a way for her to be able to climb up into my 1/2 ton Dodge Ram. After much searching I ran into a video talking about your Shure-Step product and was impressed enough to order one. The wife is recovery nicely from her surgery but finds the step into the truck more than she is able to do at this time. That’s where the Shure-Step comes into play. It cuts the step up in half for her so that she can easily navigate from the step to sidebar and into the truck. Tonight, when we got back from the grocery store I was running around, getting the wife unloaded, and already thinking about wanting to get things put away and call it a night as I pulled the truck into the garage. The next thing I knew the back passenger side of the truck had raised up several inches. It did not take long to figure out what had happened. In my haste, I had forgot to put the Shure-Step away. Walking to the back of the truck I found the ‘before’ photo attached to this email. The 20″ inch back tire was completely off the ground and only supported by the Shure-Step. At that point, wasn’t much more to do other than drive off the step. While I was impressed with the Shure-Step’s ability to support the weight of the truck, I was even more impressed with it once I had move the truck off of it. As you can see in the ‘after’ photo, no damage could be seen. If you look closely to the after photo, you can see where the anti-skid bolts you added to the Shure-Step for me had dug into the concrete enough to leave dust behind. You have a solid product here and it is well worth the asking price even if it is a little under rated with its load bearing abilities. 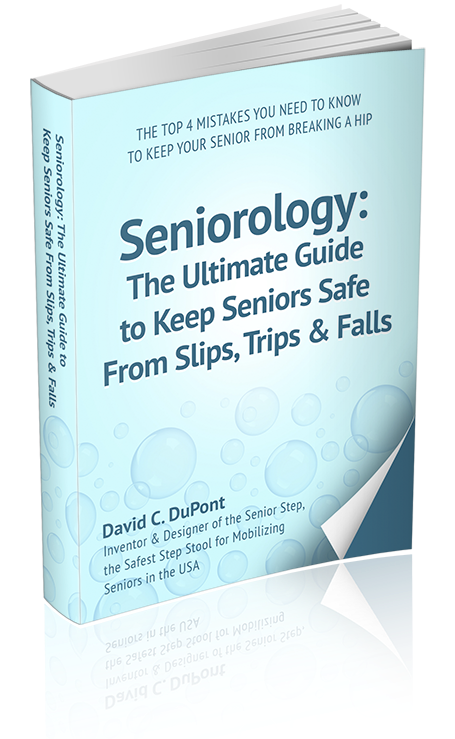 David DuPont had been writing articles hoping to help people around with their needs regarding step stool. 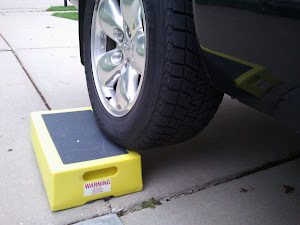 It has been a long challenge for him to create the safest step stool after he had his own experience of unwanted fall long time ago due to unsafe crate he was standing on while working on their shop as a mechanic. Many had already benefited from his invention and it’s an overwhelming feeling to received this kind of email recently from a customer somewhere out there. 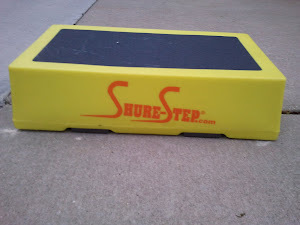 And its worth letting the whole world to know how grateful and honored to be of help through Shure-step Step Stool.